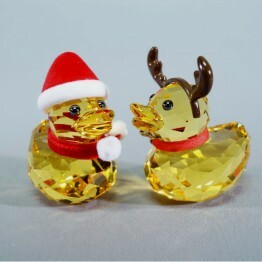 Happy Duck - Happy Prince is part of the Lovlots Happy Ducks Collection. 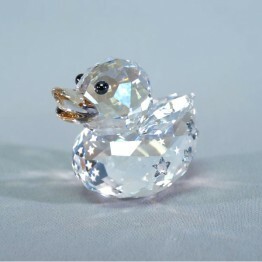 He is made of Moonlight crystal. 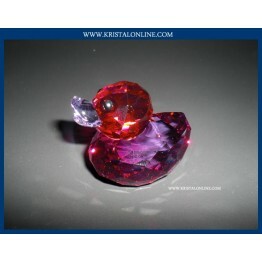 His eyes are made of Jet Hematite crystal. 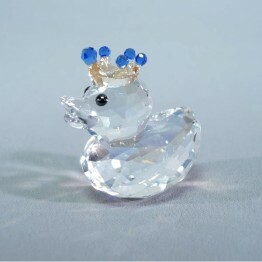 He is wearing a Golden Shadow crystal crown, with Sapphire crystal pearls. 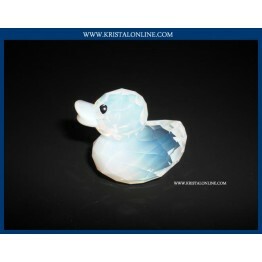 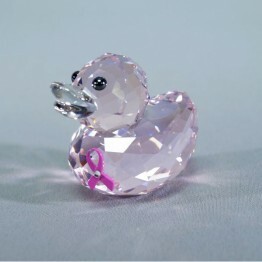 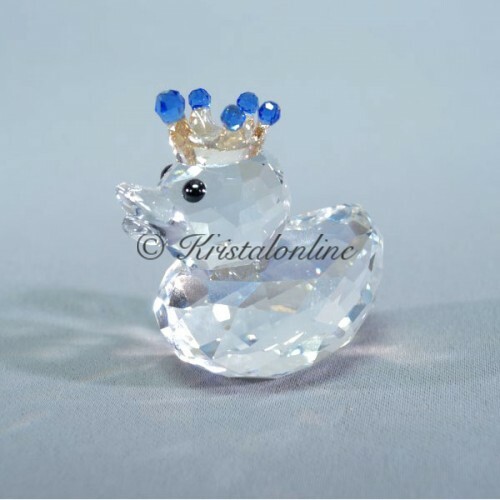 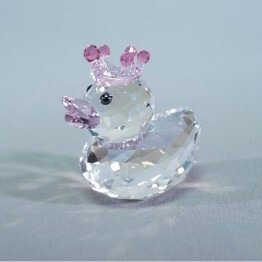 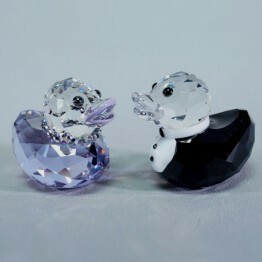 Add this royal charmer to your Happy Ducks collection or offer him as a romantic gift to your own Prince Charming!